That is a fantastic monkey, sir! I love it. i am a visual artist and i am building a drawing. i wonder if i can use that incredibly beautifull monkey to do a version of it. Thanks! Thats terrible... It looks like a 5 year old made it.. 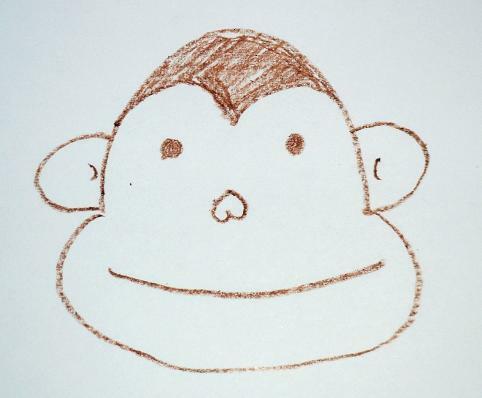 I've tried once and drew a monkey that should belong in one of those animated chartoons that almost look real... I'd upload it but idk how... honestly, your monkey doesn't belong on the web, let alone a cartoon. Not Good Compared To What I Can Do...BUT! I Have Faith In You! Not Everyone Can Draw Well You Know So 3/5-4/5!